Zippo Firey Skull Black Matte Lighter | BUDK.com - Knives & Swords At The Lowest Prices! 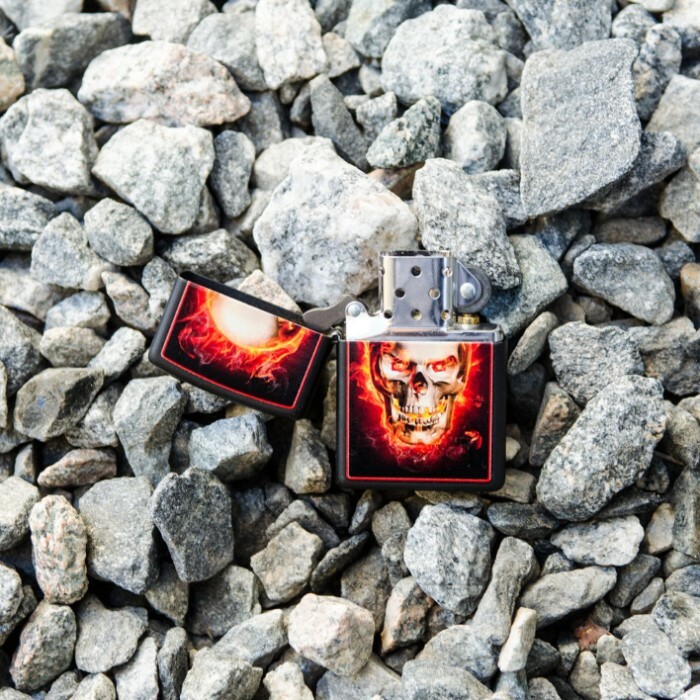 A Zippo lighter is one of the handiest accessories you'll ever own. 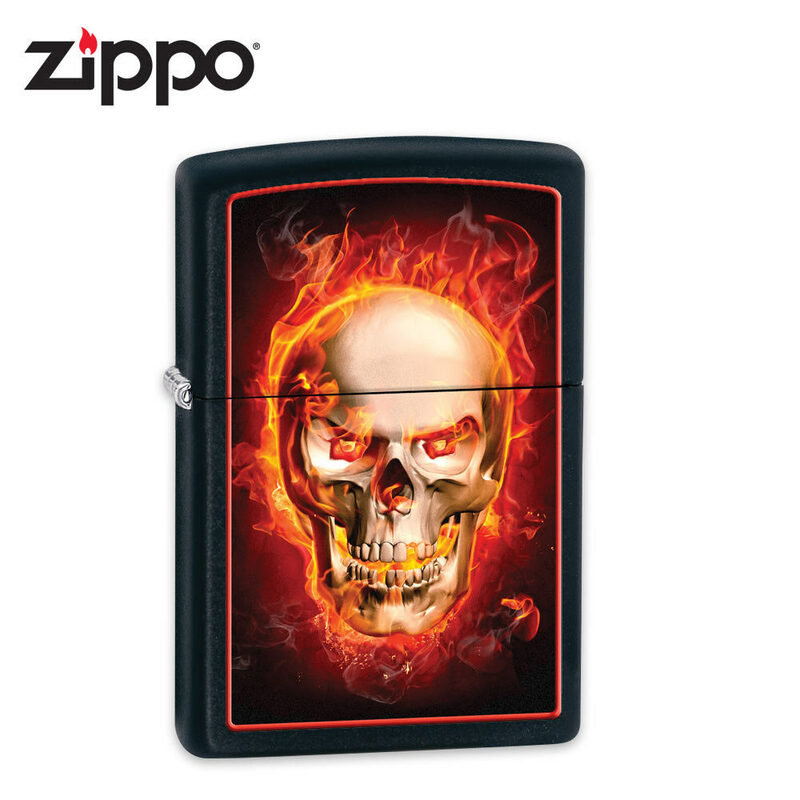 This Firey Skull edition features Zippo exclusive artwork on the front of the matte black lighter.